Alaska DOT and PF Sep 13, 2018. 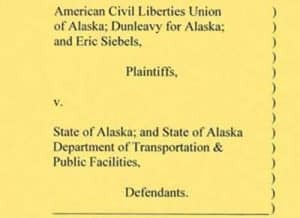 (JUNEAU, Alaska) – On Sept. 10, 2018, the Alaska Superior Court ordered the Alaska Department of Transportation & Public Facilities (DOT&PF) to clarify how laws restricting outdoor advertising will be applied during the current campaign season to political signs within and outside of state highway rights of way. Unauthorized signs within state highway rights of way, including both commercial and political signs, remain illegal under AS 19.25.75-180. DOT&PF will continue to enforce this ban; any sign placed within a state highway right of way may be removed by DOT&PF crews without prior notice. Small, temporary, political campaign signs no larger than 4’ x 8’ may be displayed on private property adjacent to state highway rights of way by the owners or occupants of that property, provided they have not been paid to display the signs. DOT&PF will continue its current practice of not removing small, temporary, political campaign signs from private property outside highway rights of way. All signs that pose a safety concern to roadway users will be subject to removal by DOT&PF regardless of the content of the signs or whether they are located on private property. 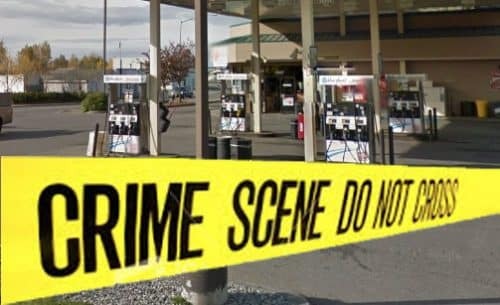 In 1998, Alaskans overwhelmingly voted to keep the state free from outdoor advertising, both within and along the state’s public rights of way. 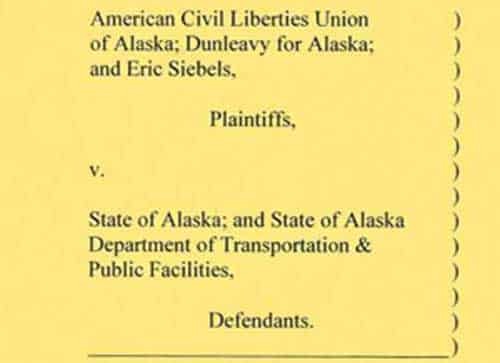 Alaska statutes and regulations address unauthorized signs, including such signs displayed on parked vehicles and some signs on private property. Those statutes and regulations remain in full force and effect, except for small, temporary, political campaign signs permitted by the Court’s order outside highway rights of way.